You find us in Unit 5, 37 Delawney Street Balcatta, Perth, WA. 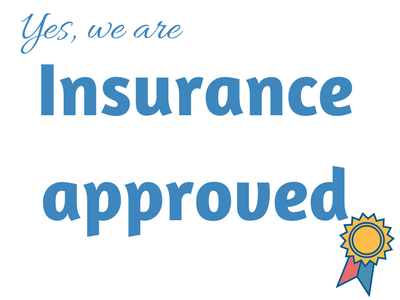 We are approved by all insurance companies which includes SGIO, QBE, RAC, CGU, Allianz, WFI, Shannons, HBF, Zurich, YOUI, AAMI, AI Insurance, Progressive Insurance and Club 4x4 and many more. If you are looking for a repairer on the approved repairer list we are the place to go. We are part of all major insurance repairer networks. We are insurance approved, offer lifetime warranty and use all insurance specific software packages to speed up the approval process. When you make an insurance claim ask your insurer and check your policy. Find out if you are required to use their repairer. Your insurer will require you to lodge a claim. This can usually be done over the phone or online directly with the insurance company. You will receive a claim number. Please bring it when you come in for a quote. We will assess your car and write up and itemised quote. Don't forget to bring your claim number. Our long-standing relationship with the major insurers means we can advise on how best to proceed in order to fast-track the repair and return of your vehicle. After you submit your claim, your insurer will issue you with a claim number and request an official quote for the repair. We deal with all major insurance companies and can send the quote straight through their software packages to them. All we need is your claim number. Including this in your details will help fast track the approval process for the repair. In some cases, you will be required to nominate us as your preferred repairer. We would like to highlight that you do have a choice of repairer and you are not disadvantaged by choosing the shop that feels right for you. Before work can commence, an Assessor from your insurance company must inspect your vehicle. Depending on the insurance company these assessments are done in our workshop by an assessor or via online assessment. Workshop inspections are organised by Balcatta Panel and Paint and your vehicle is required by 8am on the date arranged. If you choose to leave it with us, then work will commence immediately after assessment and approval. Alternatively, you can book the repair for a future date, in which case your vehicle can be collected after 12pm. Once your claim is approved you will need to book your repair. We will check if parts are locally available or need to come from over east. Our average repair time is 4-5 days. Repair booking can be arranged when collecting your car, by phone or through email. Other than public holidays, Car Craft Balcatta Panel and Paint is open Monday to Friday from 7:00 am until 5:00 pm. Your car can be dropped off at any time during the operating hours detailed above. While in our care, your vehicle will be kept safe and secure in our facility building. It’s easy to forget favourite CDs, spare keys, remote controls or tags so we ask you to check and ensure you remove all valuables and anything you might need. We know you need your car repaired and returned as quickly as possible and balance this need against the time required for the highest quality repair in order to calculate an estimated repair time. This estimate can be discussed prior to your booking and will be confirmed when you drop off your vehicle for repair. Availability of parts can cause delays and should this occur Car Craft Balcatta Panel and Paint will contact you and keep you informed of progress. Balcatta Panel will contact you on the day arranged for collection to confirm the time you can collect your car. In the unlikely event of a last minute problem, we will contact prior and arrange an alternative. Most insurance companies require payment of an excess for ‘at fault claims’. If this applies, your insurance company will confirm it in writing and advised that it is payable to the repairer. Payment of the excess is required before you collect your vehicle. To avoid any delay please be prepared to make this payment in cash, via EFTPOS, by credit card or cheque when you arrive to collect your vehicle from Car Craft Balcatta Panel and Paint. A 1% surcharge for credit card payments applies. To minimise inconvenience in the case of a lengthy delay in the supply of parts, your vehicle may be made available for you to drive temporarily with an arrangement for it to be returned to Car Craft Balcatta Panel and Paint for repairs to be finalised when the parts issue is resolved. We do offer lifetime warranty on all our paint work and repairs, so you can rest assured. If anything is wrong, we will fix it.